When I found out I was pregnant I had a huge list of what I wanted to write through out my pregnancy. In my first and second pregnancies I never wrote down how I felt each week or anything else, so I really wanted to do something different this time. I do write my weekly pregnancy updates which I am glad I have stuck to since I was 12 weeks pregnant. I have written a few other pregnancy posts too such as my wishlists, how I found out I was pregnant, how I feel about being pregnant, how my girls reacted that they were going to be big sisters, a few posts about the scans such as my gender reveal and so on. But as the weeks or even months are going by this pregnancy is getting more and more uncomfortable, which is making it hard to keep on top of my blog. • I have old posts written up in drafts but then I need to take new photos! You may be thinking with #3 what do I mean when I get time to blog? As I have done it before and always kept on top of it. However, with this pregnancy I am having to do two visits to hospital a week to keep an eye on the baby because of Obstetric Cholestasis condition I have. It is around a 30 minute journey there and back. I try my best to catch up on blog work around those appointments but when you have two children to keep happy, school runs, a house to tidy and clean it can be quite hard and by the end of the night you just feel exhausted. I feel that I had a lot to write about in the first trimester and a bit through the first half of the second trimester. But the second half of the second trimester I found quite difficult. I just didn't know what to write about. I have got a few posts planned for the next coming weeks and they also include some exciting reviews too. I can't wait to share them all with you. 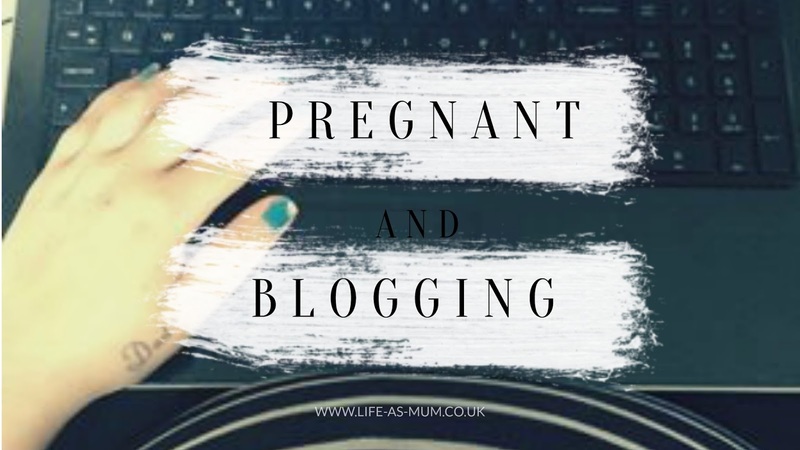 Can any other pregnancy bloggers relate? When I was pregnant with Blake I struggled to want write especially in the last trimester I remember being uncomfortable and tired all the time. Don't beat urself up about it when it comes to blogging just blog when u can its important to take care of urself. I totally relate. I am sick so often and try to fit my blogging around being ill and feeling exhausted and its really hard. I just give up everything else to do it but i hope it will be worth it in the end. I understand exactly what you mean and i had cholostasis in pregnancy too its not fun! Keep going at your own pace! It's hard to write when you are tired but good that you wrote some posts in advance. I'm not pregnant but I can see what you mean! I feel like I have bits of posts scattered everywhere, but can't seem to get them all together to actually get a post out! I don't think there is a woman in the world who doesn't feel this way when pregnant. Wow! I'm surprised you can blog even once a fortnight with everything else you have going on! Supermum indeed!! Being pregnant is tiring. I'm not even pregnant and find blogging completely exhausting sometimes. I've started to write a list every time I think of a topic or post I want to write. Then I go back to it whenever I find some time.